In the United States, filing bankruptcy is a helpful option for a person who is struggling to pay back debts. By filing bankruptcy, the person is free from overwhelming financial burdens under certain conditions. Generally, the total cost of the process is evaluated by the bankruptcy monitor along with the filer's monthly income. Excluding the amount for necessary expenses, the rest is taken for repaying the settlement. Our bankruptcy lawyers in OKC help our clients understand and comply with the rules. Though filing a bankruptcy may help relieve you from your debt burden, it comes with some downsides worth considering. The bankruptcy appears in your credit, which is open to the public. The report states your bankruptcy and sustain period, even after you repay the loan. According to the Fair Credit Reporting Act of 1970, the Chapter 7 and Chapter 13 bankruptcy may stay on your credit for 10 years or 7 years respectively. Moreover, your credit score will take a hit and despite repaying any settlement, you may fail to get new credit during that time as lenders may refuse your application seeing your past record. Though the loan amount will not be marked as unpaid, once you pay it back, it will be there. You can consult our bankruptcy lawyer in OKC to help you make a faster turnaround than going it alone. 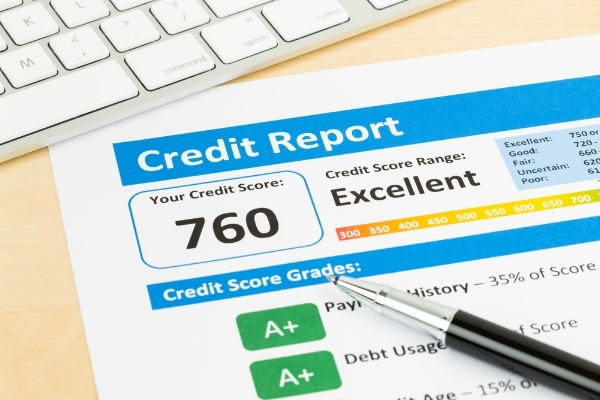 Keep an eye on your credit score after filing bankruptcy. Make a note of your debts altogether and check the status after those are discharged. The debts will either be non-existing or will show zero balance. If you see anything stated wrong in the report, you can connect with our bankruptcy lawyer to address it. Your credit report will include the bankruptcy for the next seven to 10 years on chapter 7 or chapter 13 of bankruptcy. Try to reestablish the credit score during this period so that after the tenure you can begin with a good credit score. There are several good companies that offer second-chance, low-limit, prepaid credit cards to begin rebuilding your credit score. Once you have filed for bankruptcy, be cautious about opening new credit accounts. Before you use a credit card or apply for one, go through all the offers they are providing and pick the most suited one for you. If you need help, you can discuss your options with our Oklahoma City bankruptcy lawyers. Do not open multiple accounts at a time. It is better to keep your oldest account active for the prior record of your credit. The filing for bankruptcy, tending to everything according to the law and rebuilding your credit in the future can be difficult without professional advice. Connect with us at Chris Mudd & Associates to get the help you need with your bankruptcy and getting your financial house in order.